One of the most picturesque and impressive of all the Mayan sites, Palenque is one of Mexico's prime attractions. 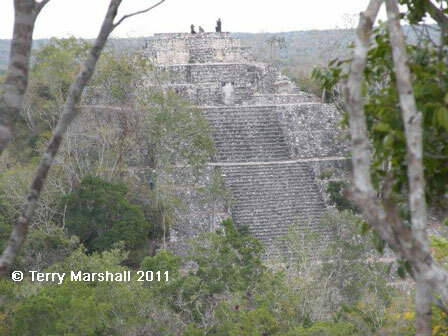 Several spectacular structures are set in a beautiful location deep in the rainforest of southern Mexico. Rediscovered in the 19th century, only a fraction of the site has been studied and excavated and its possible to walk through the jungle trees over the crumbling remains of other buildings and wonder what remains to be discovered. 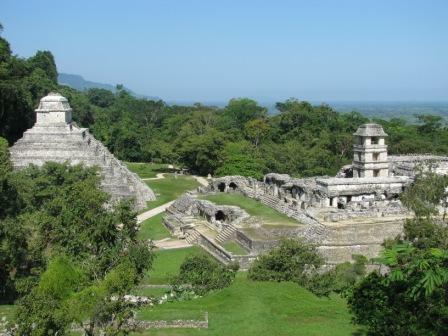 Palenque flourished as a Mayan city state for 600 years between the 4th and 10th centuries but reached it height during the reigns of Pakal and Chan-Bahlum in the 7th century when its most impressive buildings were constructed. Central to Palenque are the various buildings of the Palacio, built on an artificial mound, and including the four-storey renovated watchtower, unique in Mayan architecture. The Temple of the Inscriptions is perhaps the most impressive structure, a 25 metre high pyramid which contains inscriptions detailing Palenque's history and was the site where the burial tomb of Pakal and his jade death mask was found. Unfortunately its not permitted to climb the Temple, but the nearby Temple of the Cross can be climbed to give super panoramic vistas of the entire site. Chichen-Itza is one of the most extraordinary archaeological sites in the world and was recently named one of the new Seven Wonders of the World. It represents two major periods of pre-Hispanic Mesoamerican civilisations - a Mayan site from the Classical period between the 5th and 10th centuries and a second settlement after the Toltec invasion with major construction between the 10th and 13th centuries. The latter represented a fusion between Mayan and Toltec cultures and represents some of the most important monuments at Chichen-Itza. The most remarkable structure is the El Castillo or the Pyramid of Kulkulkan, a stone representation of the Mayan calendar. The 25 metre high pyramid has 365 steps and at equinox a shadow of the serpent is cast down the pyramid connecting their heads at the foot to their tails at the top. Surrounding El Castillo are the Great Ball Court, the Temple of the Warriors, the Group of the Thousand Columns and the Observatory. Chichen Itza is the most visited historical site in Mexico and can get very crowded but the wealth of its attractions make it an essential visit. The ruins at Uxmal represent the pinnacle of late-Mayan architecture, design and layout. The buildings here date from 700-1000 AD when Uxmal had approximately 25,000 inhabitants and their layout reveal a detailed knowledge of astronomy. The Piramide del Adivino dominates the site, a spectacular structure with many symbolic motifs and sculptures depicting Chaac, the god of rain. Other buildings of note include the Nunnery Quadrangle, Governor's Palace and the Great Pyramid, which can be climbed to get a superb panoramic views of the whole site. A nightly light and sound show speculates on the decline of the city due to drought with the residents appealing to Chaac to save them. 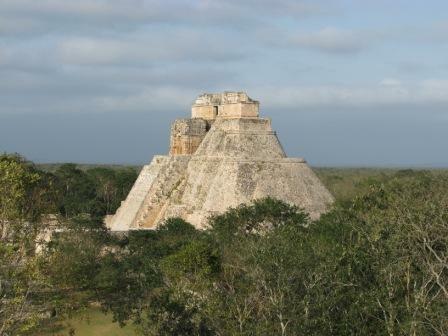 Close to Uxmal are three smaller sites with their own unique features. The Palace of Masks at Kabah has 260 images of Chaac, the Gran Palacio at Sayil is an elegant three-storey structure while Labna has a rare arch connecting two groups of buildings. The Mayan city of Calakmul is located within the Calakmul Biosphere Reserve in central Yucatan peninsula. One of the most ancient of the Mayan sites that had continuous occupation for over 1,200 years, Calakmul has a series of well-preserved monuments shedding much light on Mayan culture. Its name translates as the 'city of two adjacent pyramids' and Structures I and II dominate the site. Perhaps the most noteworthy elements however are the 120 stelae found here which are inscribed with sculpture and reliefs detailing the history and daily life of the city. The Mayan city of Tulum is located in a dramatic and beautiful setting on the eastern coast of the Yucatan peninsula overlooking the sandy beaches and turquoise waters of the Caribbean. Dating to the 12th century, Tulum was a late period settlement displaying both Mayan and Toltec influences. The city was guarded by thick city walls and a watchtower which demonstrate the growing emnity between Mayan states at this time. Many of the towns temples such as the Temple of the Frescoes are dedicated to the Falling God or Setting Sun. 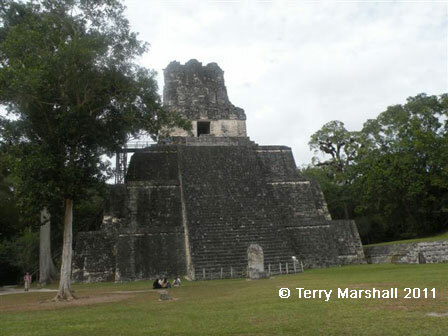 Tikal is the largest and one of the most impressive Mayan sites, set amidst the jungle of Tikal National Park. Tikal was occupied between the 6th and 10th centuries and at its height it was one of the major centres of the Mayan civilisation, with up to 100,000 inhabitants and trading links as far away as Teotihuacan. The ruins comprise some 3,000 buildings over 16 km², including temples, palaces, causeways, ball courts and public squares. Most spectacularly, some of the tallest temples tower above the jungle treeline, which can be climbed to provide amazing views. Structures of note include the Q complex, Main Plaza, North and Central Acropolis, Seven Temples and Mundo Perdido. Its setting in the national park jungle means you'll share the experience with the resident wildlife including coatimundis, grey fox, spider and howler monkeys, toucan and weaver birds. The Mayan site of Quirigua was occupied between the 2nd and 9th centuries AD and was an important trading centre between the powerful states of Tikal and Copan. Quirigua reached its zenith in the 8th century under the reign of Cauac Sky, becoming an autonomous and prosperous state after wars with its powerful neighbour Copan. Quirigua is renowned for its monumental carved stelae which chronicle historical events, including the wars with Copan, as well as Mayan myths, symbols and beliefs. Built every five years at Quirigua's height, they were up to 12 metres high and 60 tons in weight, the largest known quarried stone in the Mayan world. This is one of the lesser visited Mayan ruins, but no less special because of it. Mayan for �Rock Stone Maiden�, Xunantunich is located right on the present-day border with Guatemala, just west of Tikal. 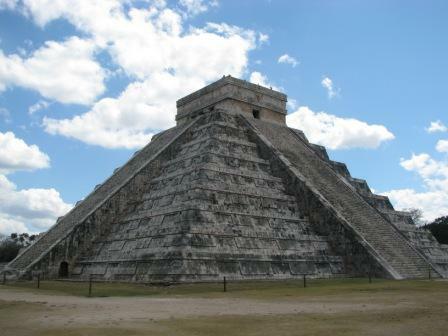 The site's most impressive feature is the 40 metre tall pyramid known as El Castillo. The pyramid can be climbed to see inscriptions representing the Sun god and other astronomical features and also the spectacular view over the whole site and surrounding region. 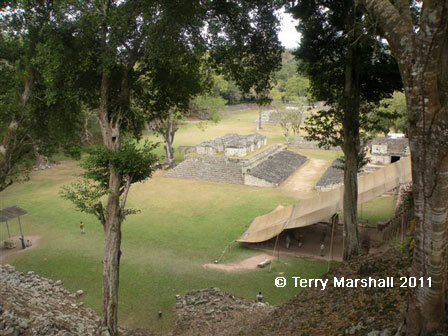 The Mayan ruins at Lamanai in northern Belize offer a distinct experience to visiting other Mayan sites. The ruins have not been extensively excavated and reconstructed and therefore are located in thick, humid rainforest. Reached by a boat ride followed by walking through rough forest trails, there is a sense of discovery not felt when visiting some of the more reconstructed and visited sites. Lamanai is believed to be about 2,000 years old and is known for the many representations of crocodiles found at the site. The Mayan site of Altun Ha is located on Belize's Caribbean coast. The city is believed to have been inhabited 2,000 years ago with evidence of influences from Teotihuacan in Mexico. There are a number of structures at the site today, including pyramids, temples and plazas, the most notable of which is the 18 metre Temple of the Sun. Altun Ha is famous for being the site where the jade head of the Mayan Sun god Kinich Ahau was discovered. Copan is one of the most important of the Mayan sites and as the most southerly on the Yucatan peninsula, receives far fewer visitors than those further north. Copan was occupied from 2000 BC onwards but reached its peak in the Late Mayan Periods between 500 and 900 AD, thought to have been the capital and crowning achievement of the Mayan Empire. Its spectacular features include the Great Plaza with tiered seating for 50,000 people and the nearby Acropolis - the royal centre with numerous pyramids and temples. The latter includes the famous Hieroglyphic Stairway, whose 63 steps include some 2500 individual glyphs, the largest set of pre-Columbian inscribed texts in the Americas. The outer wall of the Plaza contains carved reliefs depicting Copan's 16 rulers. Although one of the most researched Mayan sites, much of Copan remains to be excavated and discovered in its jungle setting. The Mayan ruins at Tazumal are considered the most important and best preserved in El Salvador. Only a portion of the site has been excavated but evidence suggests the area was occupied for over 1,000 years and had traded with places as distant as Mexico and Panama. One of the key findings at Tazumal is the life-size statue of Xipe-totec, a Nahua god of fertility and war. 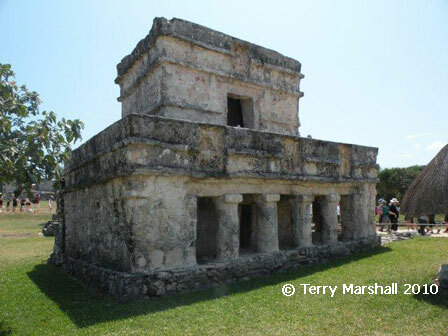 Organised group tours: Click here to see 3 tours to Mayan Circle which may include City Ruins of the Mayan Civilisation.